Residential Complex THE ENSEMBLE is growing fast! 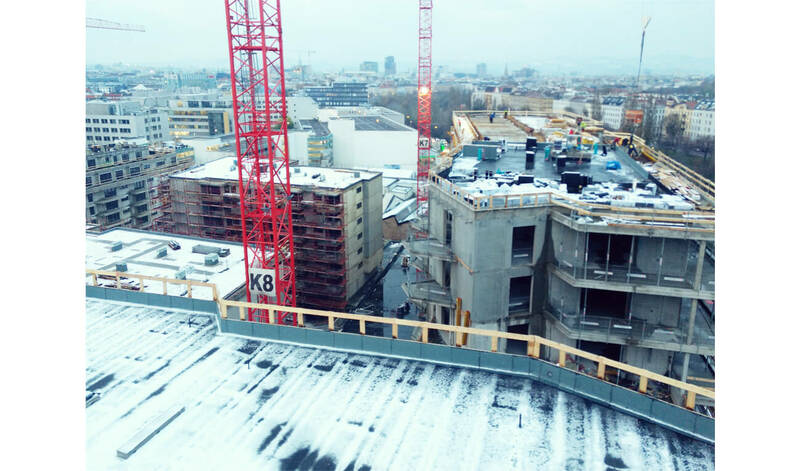 The topping-out ceremony for the Residential Complex THE ENSEMBLE, Erdberger Lände 36-38 has taken place on November 22, 2018. Seven renowned architecture firms have designed ten individual buildings according to architectural guiding principles by BEHF Architects. Directly on the Danube Canal, opposite the recreation and leisure area of the Prater, approximately 800 high-quality apartments that blend seamlessly with an expansive surrounding park space will be available. BEHF Architects is developing two residential units on the building plots 8 and 9. The project, due to complete in 2020, runs as a joint venture between ARE Austrian Real Estate Development GmbH and PREMIUM Immobilien AG.